Gun-controlled Chicago emerged from another weekend of gun violence on Sept. 12 with a total of 3,033 shooting victims year-to-date, which is roughly 50 more shooting victims than the city witnessed in all of 2015. According to NBC 5, one person was killed and seven others shot and injured in Chicago on the night of September 9-10 alone. This follows an ABC News report that violence has become so bad in Chicago that nearly 12 people have been shot every day in 2016. The month of August proved to be the deadliest August in 20 years for Chicago, and August came on the heels of a July which was the deadliest July Chicago has witnessed in a decade. Sixty-five people were killed in July alone, and the Chicago Tribune was careful to point out that this high number is not a new record. Rather, it simply ties the old record set in 2006. 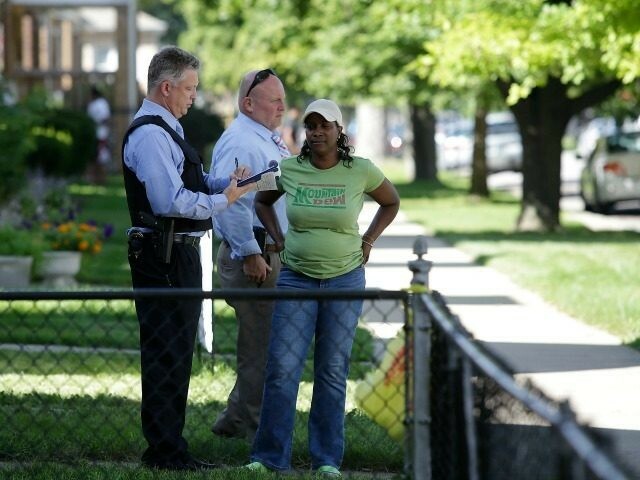 And now–on September 12–the Tribune reports the total number of shooting victims year-to-date in Chicago is 3,033. The total number for all of 2015 was 2,988. Moreover, the total number of homicides year-to-date in Chicago is 517. The total for all of 2015 was 491. Chicago is synonymous with gun control, but the controls appear to correlate with increasing death and mayhem. Yet Breitbart News recently reported that Illinois representative Sonya Harper’s (D-6th) response to Chicago’s rising death toll is more gun control. Her specific push is to add serial numbers to every bullet and bullet casing sold in Illinois; a move which will only make ammunition even more expensive for law-abiding citizens. This, in turn, could deprive many low income families of the tools they need for self-defense in a city as dangerous as Chicago.